In this modern Middle Eastern country we don't see too many spots of classic supercars. We are no longer surprised to see a Bugatti, LaFerrari or Lamborghini SV in Dubia, and Bentleys, G-class AMG's are a dime a dozen in the economic center of the Middle East. 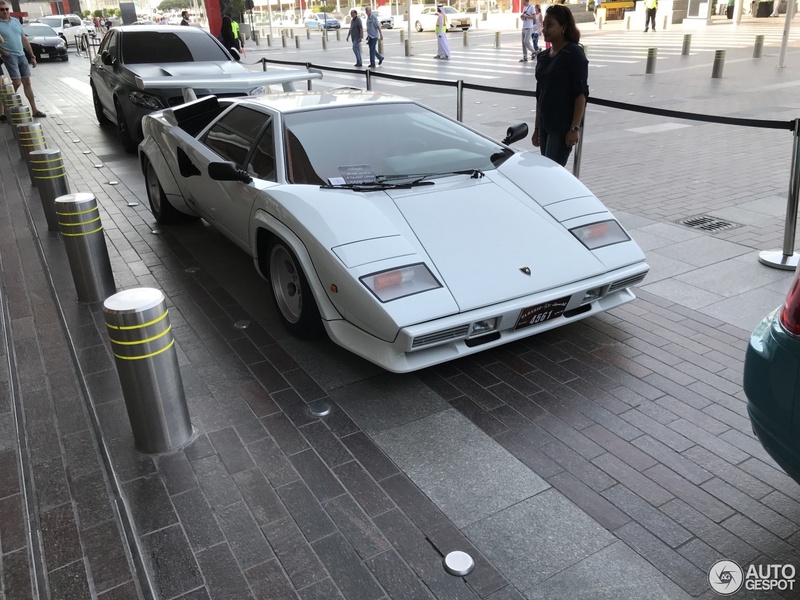 But to see a Countach is still uncommon, especially with the extreme heat and sandy conditions. Because let's be honest, the cars of the 80's were not the most reliable. Together with the Miura, the Countach represented the backbone of the Lamborghini legend. Once again the team, Marcello Gandini and Nuccio Bertone, put their signature on a unique line that remains unchanged today: its 12 cylinders mounted lengthwise (Longitudinale Posteriore – hence LP) and the wedge-shaped body only 1.07 m tall with scissor doors, redefined the segment of sports cars, leaving enthusiasts speechless. The LP 400 of the first series is still in great demand today because in this version the clear language of the shapes without larger mudguards and rear spoilers is even more explicit. This is a true topspot!